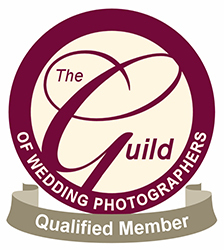 If you're looking for a high-quality professional wedding photographer to put you at ease and capture your wedding in natural, beautiful, contemporary images, we would love to work with you. It's important to us that you enjoy your wedding day - we know not everyone enjoys having their photo taken and so we'll put you and your guests at ease. Our relaxed, friendly approach to your wedding ensures that we get the job done with a minimum of stress & fuss. What's more, we'll go out of our way to make it fun for you and your guests - after all, if you're enjoying yourselves your wedding photos will look better, too. We'll work quietly & unobtrusively in the background where required (especially important during your wedding ceremony), working closely with your venue and other suppliers to ensure your day is a complete success. We're also there to support you every step of the way - we've got a lot of valuable experience which we'll bring to your big day, everything from recommending trusted suppliers, to keeping control of timings & much more.